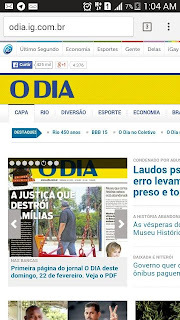 As I've told you, my blog www.calunia.com.br has suffered repeated censorship orders from the Taquara Courthouse, starting with an order to remove "any reference to the complainant" from a single page, which I promptly did. There then came an order to remove "remove any and all reference to the complainant in any of his publications." I went through the blog to change all references to his name to "He Who Must Not be Named". 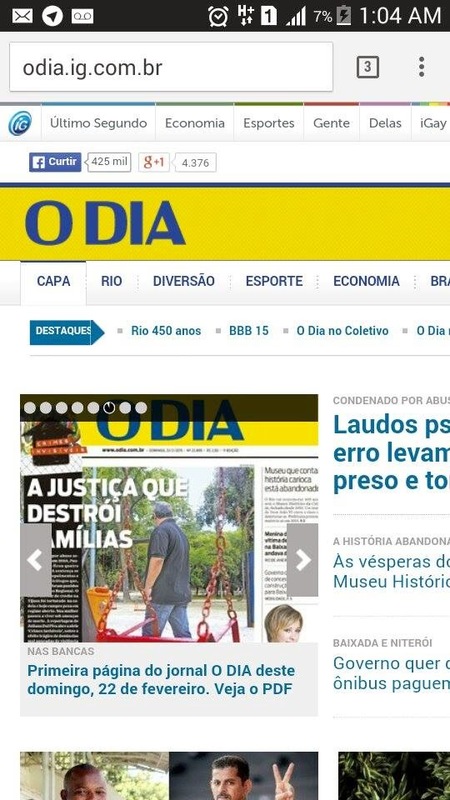 Most recently there came a judicial order to "cease immediately, any and all reference than can suggest the person of the complainant, in any publication, printed or in social media, while the present case transmits in the court, under penalty of a daily fine of R$ 1.000,00." And of course, the case doesn't "transmit". The process server turned up a month ago, and no hearing has been scheduled, no decision has been made. The initial complaint, from He Who Must Not Be Named, is mostly lies, nonsense and irrelevant garbage. It does serve to prove that He Who Must Not Be Named is a public figure, and people who welcome laudatory publicity, can't object when someone published the facts. It's impossible to separate the false accusations against you, Barbara, Dr. André, Cleci, Sirineu, Isaías and Marino, from the long-standing frauds the accusations were made to conceal. The initial attacks against you began when Tuca - whose has served time in prison for kidnapping - objected to your attempts to regularize the land documents, an attempt which would of course reveal the fraud. When Barbara, and on your release, you, suffered all sort of illegal restrictions on you movements, you visitors, and your employees, from the Colina mob, and the Taquara courthouse refused to move a finger in your favor, even permitting the expulsion of Cristiano from his home, you had the idea of purchasing the land under your home, and I tried to answer the question: of the many parcels making up Colina, which did your house sit on? The land office documentation was all in Portuguese, so the research fell to me. The documentation is far different from an American land registry, giving neither the lengths of boundaries, nor their direction, but merely the size of the parcel and the names of neighbors, or former neighbors. I started with only one certainty, that the Hotel Ocara sat on Parcel 2025, mortgaged to public bank BRDE as a guarantee for a government loan, which was unpaid, and clearly unpayable. I couldn't make the parcels fit together, despite many, many hours shuffling around filecards with the names of neighbors on each edge. The leading surveyor in Taquara, when I visited him, told me that "the parcels don't meet up." Finally, I approached the problem as a Brazilian would, rather than an American. However confusing the paperwork at the land registry might be, the people who live in Morro da Pedra seemed to have no confusion and no land feuds. Everyone know what belonged to who. So I spend several days walking around and knocking on doors, asking tracking down former owners or their children. I looked at the named of the street branching off Estrada Integração: unpaved road, with the names on no maps, but on signs at corners, and matching the names in the land registry. I looked at headstones in the cemetery. All of this - the land registry documents, the interviews with the people of Morro da Pedra, the progressively more correct maps in Google Earth - are documented in the blog. In fact, I think it's fair to say that the land fraud would never have been uncovered without the capacity of hypertext to interconnect related documents, and the aerial images and mapping capabilities of Goggle earth. Let me make this absolutely clear: the public bank BRDE was defrauded when the deed for Parcel 2025 was presented to it as a loan guarantee, when in fact the Hotel Ocara was built on a different parcel, with a value a mere fraction of the loan principal. Dana Wayne Harbour, your neighbor at Colina and fellow American naturist, was also defrauded when he was told that Parcel 2025 underlay the hotel; and when in exchange for his R$250,000 he got 20% of the investment, while He Who Must Not Be Named and his family got 80% in exchange for their investment of R$5,000. It's a public bank; the never-repaid loan came from the Federal budget, from the taxpayer; the crime is a Federal crime. Wayne was murdered in his house in Colina do Sol. The police chief told me he couldn't investigate the crime as murder because the coroner said Wayne died of a heart attack; the coroner said, "The case must still be open, it was homicide." That, too, is documented in the blog. The then-president of Colina do Sol is living in Wayne's house; and of course He Who Must Not Be Named is living in the hotel built with Wayne's money, with the taxpayers' money, and the money of other defrauded "investors". Brazilian libel law is peculiar. One can describe a transaction, or a series of transactions as fraud, but one can't describe as a "cheat" someone whose every traceable transaction over thirty years was a fraud. Knowing the law, I never broke it. And in the case of accusation of a crime - presenting false documents to the court, defrauding a public bank - truth is a defense. BRDE Bank was defrauded by the presentation of worthless guarantees for the Ocara Hotel loan. That's proven in the blog. The Taquara Courthouse indicted me for slandering the good name of He Who Must Not Be Named, but in another case at the same courthouse, he's indicted for fraudulent bankruptcy: Naturis Inc. gave its assets to Colina do Sol, leaving a labor judgement in the death of an employee, unpaid. Colina filed for Naturis's bankruptcy on discovering it had become the owner of Naturis. Quite a number of Colina residents who were present at the meeting where it was decided to ask for bankruptcy, were also indicted - you among them. I wouldn't be surprised though if the Taquara Courthouse feels that it's perfectly OK to say that you were indicted in that case, but not all right at all to say that He Who Must Not Be Named or other members of the Colina mob were indicted. As you've learned, Fritz, being accused of a crime that never happened is difficult. You can be proven innocent of a real crime, when the actual criminal is caught. Since it happened, there are traces, and there's a criminal out there somewhere. Unless the real criminal is caught, many people will always think, "They must be guilty or they wouldn't have been accused". But in the case of an invented crime, how do you show you're innocent? The police invent such evidence and elicit such testimony as backs up their accusations. Mostly they do it badly, we were able to prove many contradictions, documented in the blog. The one-sided "court secrecy" practiced by the Taquara Courthouse was also a hindrance, allowing the police to freely spread lies, but cracking down on anyone who spoke the truth. The blog shows the truth. In Portuguese, of course, but still the truth. It's long, it's complex, it's cross-connected, but it answers the questions. The answer to "Why were they accused if nothing happened?" has an answer, and it's "To cover up the land frauds, that they were getting to close to." I believe it was also to cover up the murder of Wayne Harbour, but proving that would require a police investigation, and an investigation of the police. You are allowed to defend your reputation. The blog is your best defense. It's not possible to eliminate from the blog "any and all reference than can suggest the person of the complainant", because the fraud is the elephant in the room, the motive for the false accusations that led to the false imprisonments, to the deaths that left so many orphans. I cannot prune the blog, nor can I leave it off the air indefinitely, while the Colina Courthouse, having censored the truth, simply never sets a hearing. So I'm sending you a copy of the blog. Not a simple task, it took a week of programming to insure that all the links worked - for without the interconnections, the proof underlaying every accusation of a crime on the part of the police, the accusers, the false psychiatrists or the Colina mob, an investigation and documentation that took months of work becomes disconnected chunks of unsupported text. My blog, www.calunia.com.br, remains off the air. www.calunia.com, without the .br, is your responsibility, just as it is your defense. You are beyond the range of the Brazilian courts. In fact there's an American law, inspired in part by an absurd Brazilian court case against by friend Joe Sharkey, that gives you damages in three times the amount of your legal costs, should anyone down here attempt to attack you.